Once your buds are trimmed, you’re ready to dry your plants! Once your buds are trimmed, you’re ready to dry your plants! 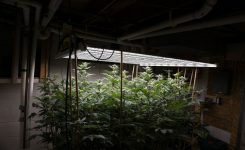 Drying the buds (which are still attached to the offshoot branches) can be done on window screens, clothes wire hangers, clothes drying racks, or any other “drying rack” you find effective. As long as there is enough space between the buds and branches to ensure airflow and proper ventilation, your drying medium is up to you. 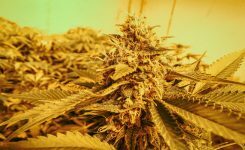 Most buds take between 6-10 days to dry, or to reduce the water content from 75% to 10-15%. Once the stems of the individual buds start to snap when you bend them, the drying process is complete. 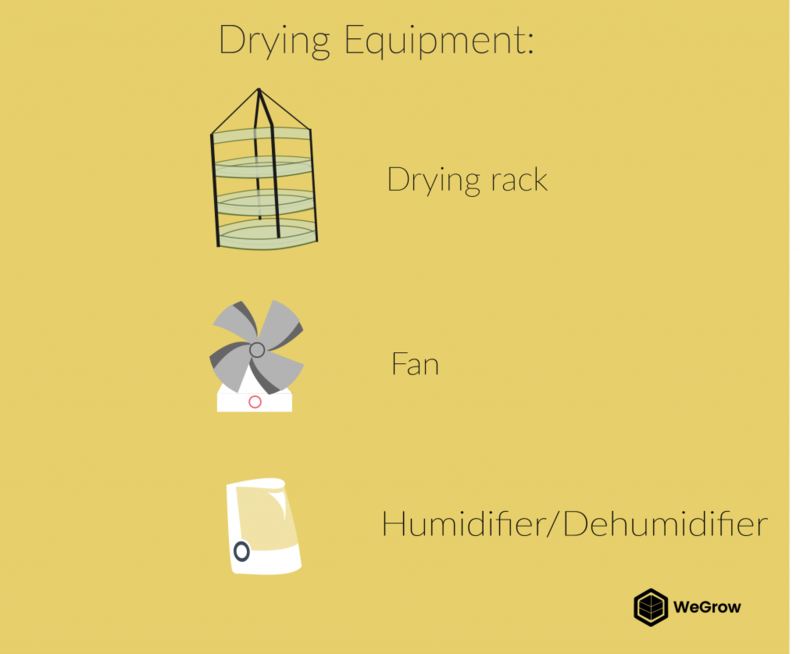 You must adjust your drying room to some special conditions to make this happen properly. Drying means it’s time for your plants to hibernate! 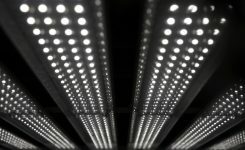 Absolutely no sunlight or other direct intense light should be reaching your plants. 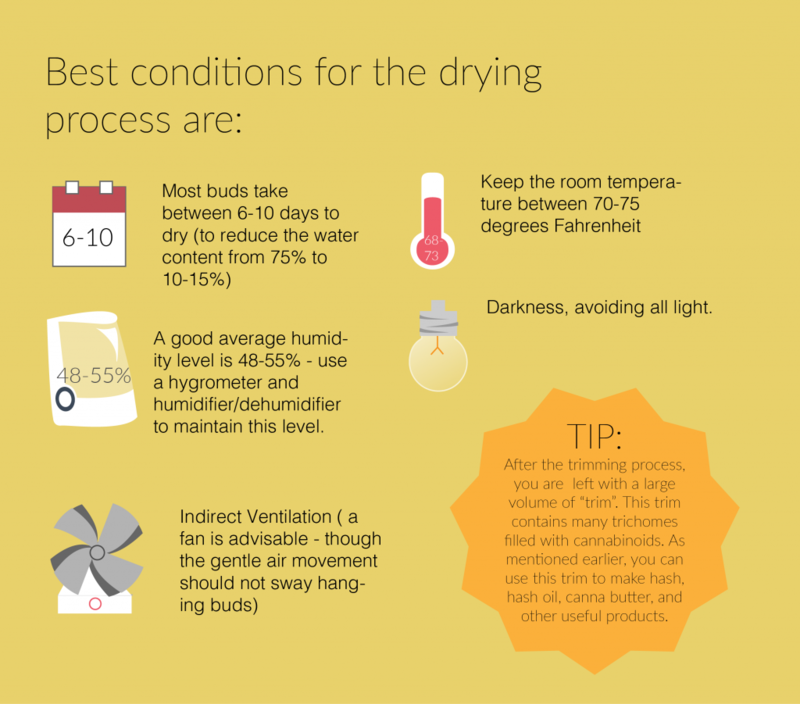 The temperature of your drying room should be around 70-75 degrees Fahrenheit. If the temperature is too high, you will risk “baking” your buds–and it’s a little too early for that! If the temperature is too low, your buds can get too damp for too long, increasing their chance of getting moldy–no thanks! 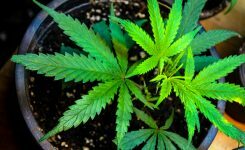 The issue is that there is always mold spores floating in the air, and only when you create a living environment for them will you get mold on your buds. Proper ventilation is very important. While indirect ventilation is crucial throughout the growing process, it is even more vital during the drying phase to ensure your plants are evenly drying. Air movement from your ventilation system should be very gentle so that it doesn’t sway any hanging buds. We recommend pointing fans at the walls of the drying containers to get the air to circulate evenly throughout the room. 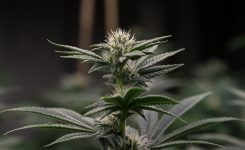 One of the most crucial elements in drying your buds is managing the relative humidity of them while drying and curing. Too much moisture will increase the risk of contamination by mold or mildew. Too little moisture will cause the trichomes to dry out, and the essential oils that carry the cannabinoids and terpenes will degrade. That would be very tragic, so keep the relative humidity controlled to 48-55% by using a hygrometer, a humidifier and or a dehumidifier to avoid those problems! To automate and maintain the ideal humidity try a combo of the two. 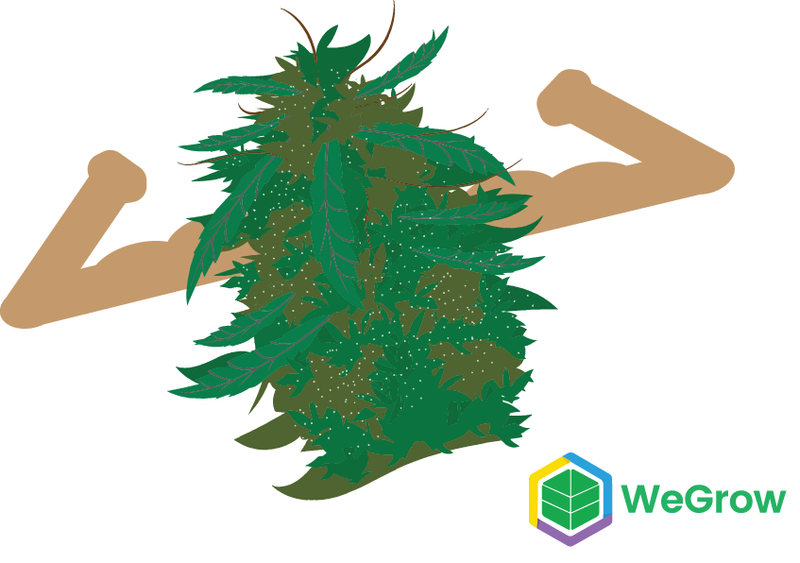 WeGrow Tip: Ensure that the exhaust is not blowing on the buds and is able to exit the room. WeGrow Tip: After the trimming process, you will be left with a large volume of “trim.” This trim contains many trichomes filled with cannabinoids. You can use this trim to make hash, hash oil, cannabutter, and other useful products! The hanging method is the most popular. 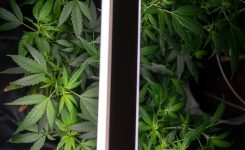 Cut your branches into one to two foot sticks and use a thin wire to tie them in a long strand from the ceiling of a grow tent. Keep them about one foot off the ground. Curing helps tap into the most intense flavors and aroma. Nothing is better than some good smelling and tasting cannabis buds! That’s where curing comes in. Curing comes last in your post-harvest process. Curing helps tap into the most intense flavors and aroma.The curing process comes down to smell, color, and your preferences as a consumer, and will depend on the strain that you are using. The timeline is generally four to six weeks. Be patient! 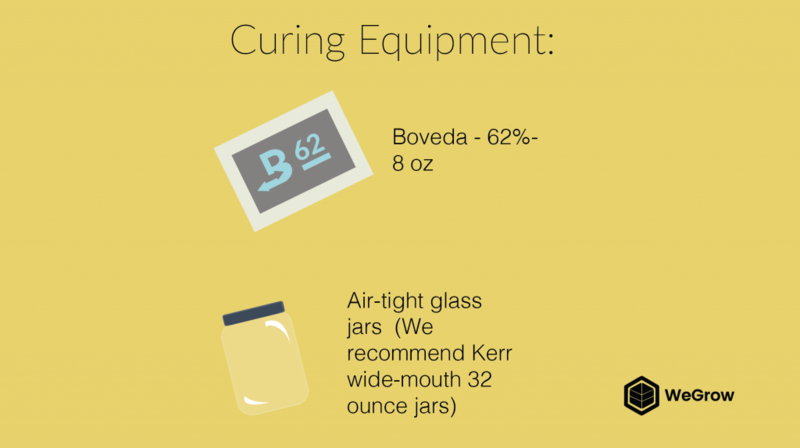 We recommend using clean, dry, glass Kerr jars to cure in. Start by manicuring your buds and removing any excess plant material from them. 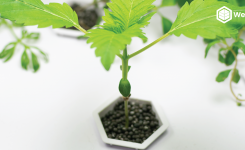 Separate your buds by grade, the largest and plumpest down to the smallest. 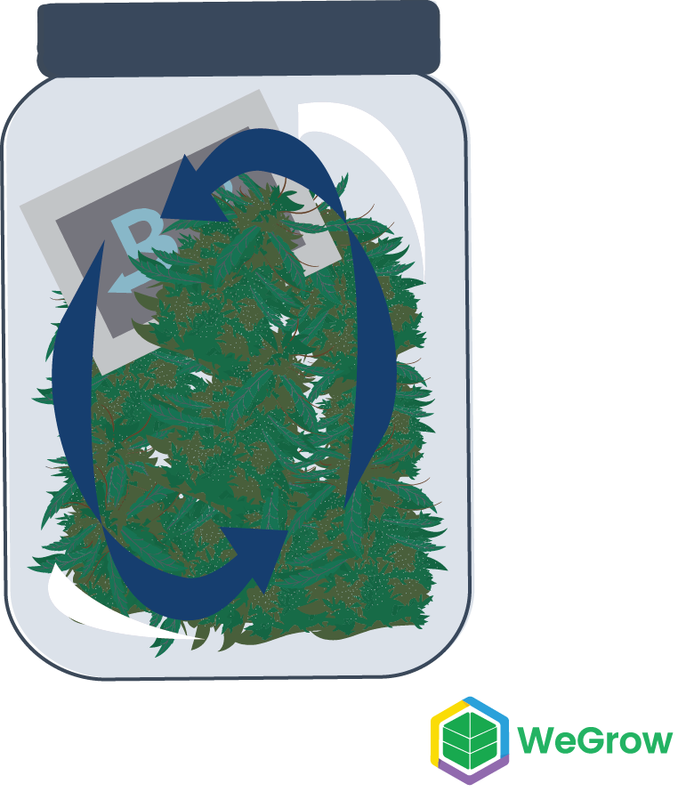 It is easier to place similar sized buds into the same jar. Fill the jars about 75% full, about an inch and a half from the lid. Don’t pack your jars too tight–your buds need to breathe! Place your jars in a cool, dark place, out of direct sunlight. This creates a microclimate that allows moisture to “even out” within the buds; internal moisture will migrate to the dry portions of the bud. The relative humidity of your curing buds is also very important. We recommend placing the product, Boveda, in the jars, which is calibrated to achieve a consistent 62% humidity level. Yay, science! It is important to burp the jars, or let some air in, so mold doesn’t start growing. For the first week, burp the jars for one hour each day, and for the second week of curing, burp the jars for 30 minutes each day. For week three, burp for fifteen minutes a day for the first half of the week, and add your humidity packs during the second half of the week. In week four, you will not need to burp, and it will be about time to enjoy some fresh, tasty homegrown buds! As long as buds remain consistently in the cure zone after several weeks, you can begin to open jars once a month. Buds will continue to improve from curing for up to six months. From here on, you want to focus on preparing your buds for long term storage to maintain their potency for as long as possible. An important trouble shooting tip is to keep your eyes peeled and nostrils open for mold. Mold must be dealt with immediately! If mold is found, remove the moldy buds immediately, and place the rest of the buds in a drier environment. The simplest solution in dealing with mold is to go back one step. For example, if the mold was detected in the jar stage, simply put the rest of the buds back on screen for a while (after removing the contaminated product from the batch). If the mold is detected in the bag stage, go back to the screen. The screen is the driest process there is. If problems with mold occur prior to this, a dehumidifier in the drying room may be your answer. 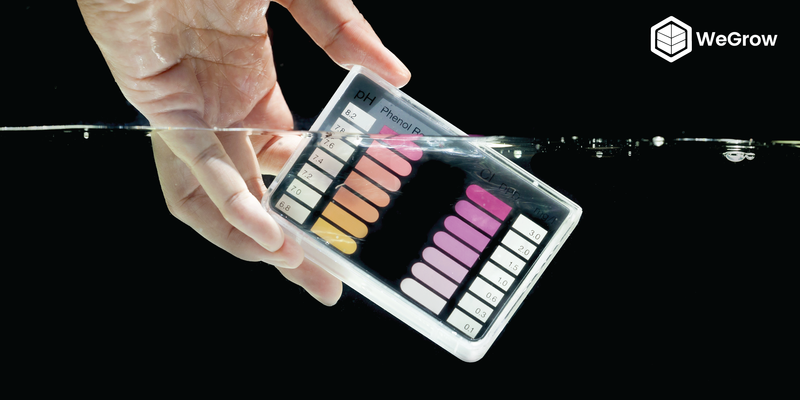 Aside from watching and smelling for mold, always remember to keep your product in the dark! Think of your buds as little vampires. Don’t ruin your buds by peeking into the jars too much. Patience is a virtue, my sweet grower friend. 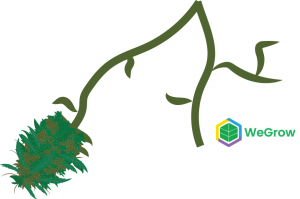 Featured Image Courtesy of the WeGrow Team. Which Nutrients are Best for My Plants?